After attending Hannover Messe 2018 earlier this month I can definitively say that the future is bright, and I don't just mean that the weather is finally turning nice. 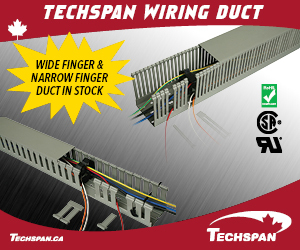 The technology already in use and that which is soon to hit the market is truly revolutionizing and expanding the automation and control market. 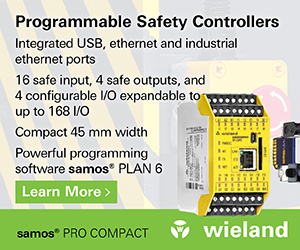 Control systems are taking automation to new levels that are making the industry a more efficient and safe place to work. 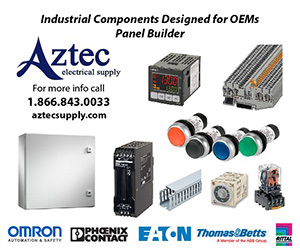 In this issue read about VFD's and Controls installed by Eaton to achieve optimal energy efficiency, and the most recent article by Phoenix Contact on the use of their SafetyBridge technology. Another topic, and one that was heavily discussed at Hannover Messe 2018 was cyber-security, so be sure to download CSA's new whitepaper on Protecting Industrial Control Systems for Advanced Cyber Threats. 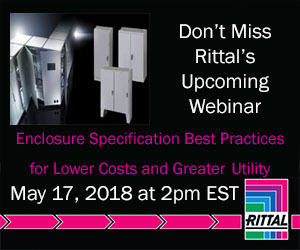 And finally, be sure to sign up for Rittal's upcoming webinar on Enclosure Specification Best Practices for Lower Costs and Greater Efficiency to be sure you rea selecting the proper enclosure for your needs and budget. Enjoy! Amid rapid digitization of manufacturing, machine builders (OEMs) need to provide a better service to improve their customers' agility and market responsiveness. Schneider Electric, the leader in digital transformation of energy management and automation, today presents EcoStruxure Machine Advisor, a platform that allows OEMs to Track, Monitor and Fix machines remotely, and pass significant benefits to operators. Brewers of all sizes want to compete in today's dynamic market and need simple, standardized operations that can deliver quality brews and keep up with complex consumer demand. Rockwell Automation and McRae Integration, a Rockwell Automation Solution Partner and member of the Rockwell Automation PartnerNetwork program, are leveraging their combined strengths to help serve this growing automation market for brewers. On Sept. 25, Apollo Electric & Controls, an new electrical company, fired up in Estevan. 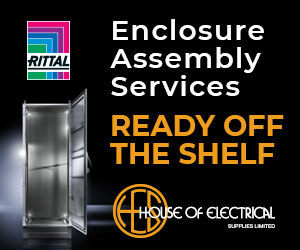 The outfit is run by partners Trevor Dutka and Jim Schlamp, who have joined up with the partners behind Estevan Meter Services Ltd. to create a sister company. Apollo works out of Estevan Meter's building on the east side of Estevan. An important part of applied learning is having students hone their skills in the classroom using the tools they will encounter in the workforce. 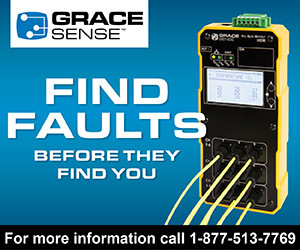 For more than 20 years, Omron Canada Inc. has been helping Georgian College students to learn manufacturing processes on the latest industry equipment. 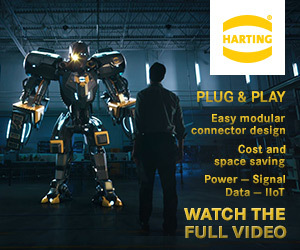 Peter Hanna, HARTING's new Territory Sales Manager for Ontario, is leveraging an extensive background in HVAC design and sales to help customers adopt the company's industrial connectivity, edge computing and other advanced solutions. His appointment enhances the company's ability to provide personal support in the country's largest market at a time when HARTING is introducing exciting new technologies for increasing productivity in both conventional and Industry 4.0/IoT production environments. 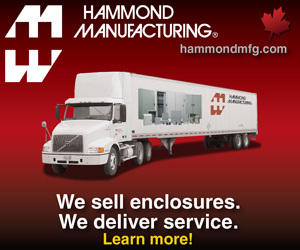 Hammond Manufacturing Company Limited is pleased to announce and welcome Melissa Cook as Customer Service Representative for Hammond's Canadian Rack and Cabinet Group. Melissa fills the vacancy left by Christine Walker, when she moved to work with Hammond Electronics. 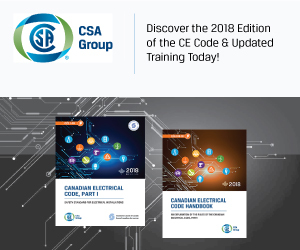 The Control System Integrators Association (CSIA) is pleased to announce the release of the Best Practices and Benchmarks Manual v 5.0. The CSIA Best Practices and Benchmarks Manual is the industry standard for successful management of a control system integration business. It is also the cornerstone of the CSIA Certification program and the tool against which the audit for Certification is measured. The North American centrifugal pumps market is witnessing a renaissance with the adoption of Industrial Internet of Things (IIoT), digitization, and next-gen prognosis offering significant growth opportunities and paving the way for smart pumps. The Industrial Automation and Process Control team at Frost & Sullivan expects to see a focus on developing energy-efficient solutions and analytical strategies to cater to end-users' demand for actionable insights. 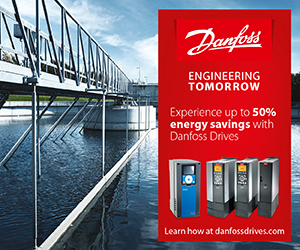 Augmented reality, IoT, IIoT,1 predictive maintenance, digital twins…. These smart manufacturing technologies are making companies more efficient and innovative, boosting their competitive advantage. 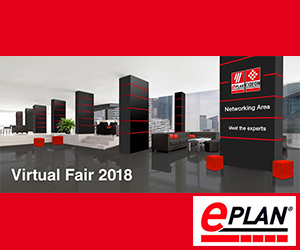 Schneider Electric, the leader in digital transformation of energy management and automation, will be showcasing its latest innovations for industrial companies at Hannover Messe 2018. HARTING's Roadshow, a mini-tradeshow on wheels, will be visiting customer locations in Alberta and British Columbia next month. The truck will be in British Columbia from May 14-18, then cross over the Rockies to Alberta from May 22-25. Come the summer, the Roadshow also is scheduled to visit locations in Ontario and Quebec in July. 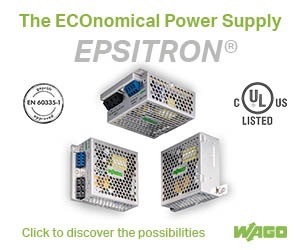 The Roadshow truck features the latest HARTING innovations in industrial, small form factor and board-level connectivity, Ethernet switches and RFID. 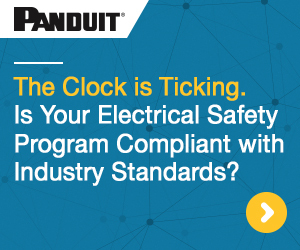 Industrial organizations must be able to quickly identify ways to tighten production schedules and maximize revenue. Gaining insight into operations and production capabilities to make informed decisions has often involved time-intensive IT projects and a highly specialized skillset. Rockwell Automation has expanded its FactoryTalk Analytics portfolio, a robust advanced analytics environmentthat empowers users with the ability to quickly and confidently make informed decisions. Canadian Companies recognized as Best Workplaces 2018. 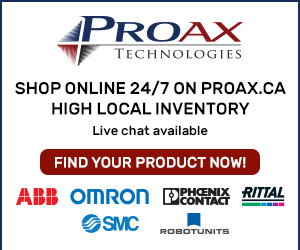 This year there is an impressive list of recognized companies including Phoenix Contact, Rittal, True North Automation, Peer group, JMP Engineering, Cadence, Electromate, 3M Canada, LMI Technologies, SAP Canada and a number of other industry related companies. Congrats to all the recipients. Don't sweat it! 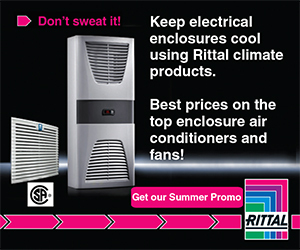 Keep enclosures & equipment cool, save big on energy & costs! 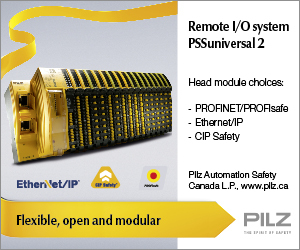 Pilz is expanding the safety gate system PSENslock to include two new product types: one type offers expanded diagnostic functions, while the other type enables OSSD outputs (Output Signal Switching Device) to be switched independently from the guard locking device. PSENslock provides safety gate monitoring with electromagnetic process guarding for gates, flaps and covers in one compact product.